Food Connex® from IMS Software, LLC, is cloud-based order entry, inventory and finance management software for Protein and Specialty Food Processors and Distributors as well as providers of Dry Goods, Provisions and Specialty Items. Food Connex simplifies sales order entry, purchasing, shipping and invoicing. The software provides integrated cost yielding, recipe management, and production labeling utilities and its integration with QuickBooks general ledger, accounts receivables and payable provides a full-featured system that can handle all aspects of your workflow. Business owners appreciate built-in profit margin management and everyone benefits from the safety, traceability and quality control. The Food Connex team has accumulated over 75 years of combined management experience in the Food Processing and Distribution industry in our more than 30 years of operational and management software development, making us a trusted, proven business partner. Easily manage orders on a single screen to help recommend items and upsell your products. Display real-time information about available product for your salespeople. 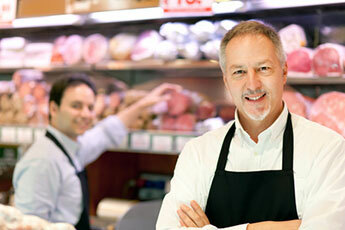 Food Connex help you consolidate financial data, evaluate profitability and set pricing. Contact us today to find out how Food Connex can help your business!